Written by Marina Pape on August 12, 2015 Blog, Customer stories. People use WooCommerce for all sorts of things. Here’s the story of The THX Co., an innovative eCommerce store that, by design, encourages customers to donate to non-profits in need as they shop. Hello, THX (“Thanks”). 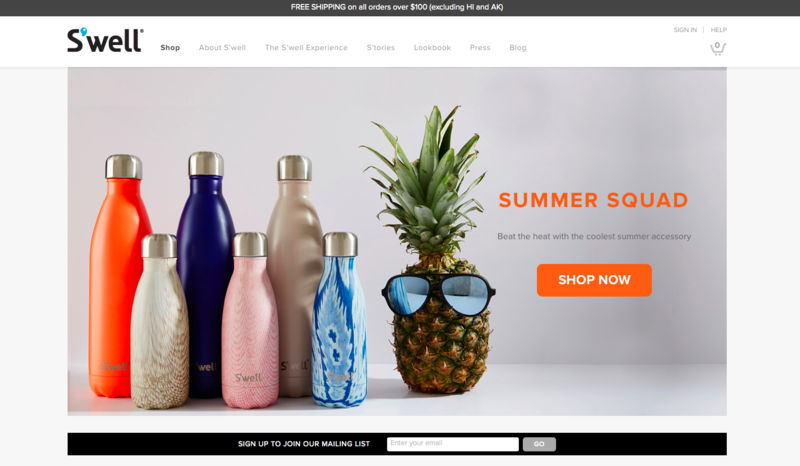 We chatted with Brett Malden, director of the social enterprise’s brand experience, about how it all came together and the process of building their store with WooCommerce. In 2012, led by a belief that business was meant to benefit society and have a purpose that went beyond profits alone, Ricardo Bueso and his family assembled a talented team with a goal to create an online store designed to encourage giving to others. 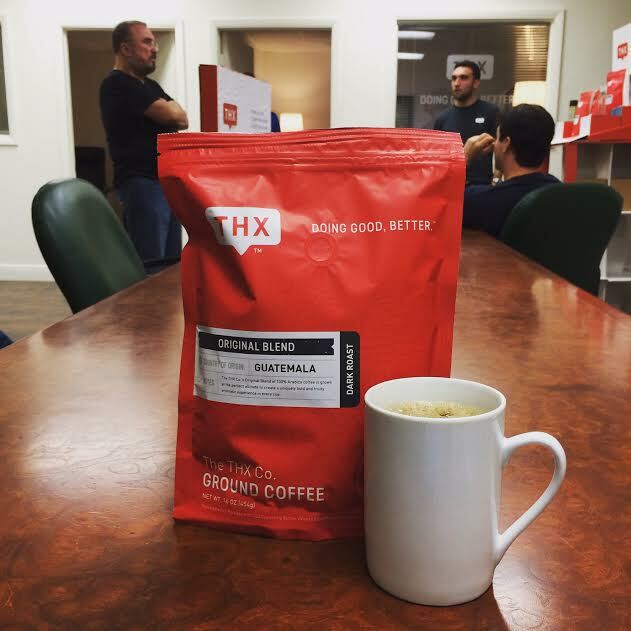 What started in a living room, moved to a coffee shop, and spent time in the back of a church office – become a reality in 2014 in the form of The THX Co. The THX crew is currently eight-strong including sales, finance, logistics, social media, design and development. Generally, they have one person specialising in each of those categories, but THX is very collaborative and in true startup nature everyone on the core team wears multiple hats. Calling all successful CEOs who once sent their own invoices, remember the days? The THX vision is to build a collection of THX-branded ethical products and develop a comprehensive lifestyle brand. So far, the collection includes a dreamy Guatemalan coffee and original fragrances 4HIM and 4HER. Rumour has it, apparel is next on the radar, so be keeping a beady eye out for that. Instead of the typical “markup” or profit margin companies include in advertised sales prices, THX uses a simple and transparent donation model: the advertised price of goods includes product costs and administrative expenses alone, with the only added ‘cost’ being a completely optional donation at the customer’s discretion. We’re well familiar with companies that claim to donate X% of profits, but per sale figures are rarely disclosed. For example, if you’re familiar with Newman’s Own, you know they’ve donated millions to charity since the 80’s but the question: “How much does this purchase (of pasta sauce) actually give back to charity?” goes unanswered. THX puts the donation-power in the hands of their customers each time they shop. Once operating expenses are covered, every dollar is donated to non-profit initiatives and the difference is the extent to which numbers are disclosed. And it’s not lip service, the breakdown is fully disclosed and just like a non-profit, THX financials are fully audited and reported. Because WooCommerce sits on top of a robust and intuitive CMS platform, it was possible for THX to get an effective online store running quickly and have a world-class front-end UI design with impressive multimedia content, easy editing and publishing and maintenance, even with limited resources and technical skills. It was possible to not only get an effective online store running quickly but also a world-class Frontend UI design with impressive multimedia content that is easy to edit and publish. 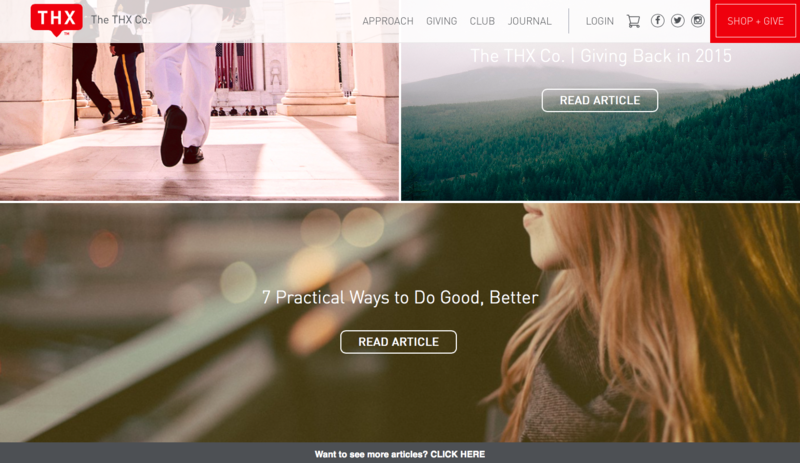 We love their journal section and use of video throughout the site, keep it cracking guys. reporting for SEO, Analytics, GA (Google Adwords). In scaling and performance, WooCommerce does well when compared to other ecommerce platforms. When analyzing overall web site speed optimization (image and page loads, etc.) and caching, The THX Co. site scored above goal using the Google Developers PageSpeed Insights tool with a 100% rating for user experience. For THX, the WordPress with WooCommerce solution has proven to be a happy choice. Which WooCommerce extensions is The THX Co. using? People want to feel in control at all times. No one likes to feel dumb. They want to know where they are, how they got there, and how to get back. User experience and flow are critical to empowering users with confidence and understanding of where they are at within a digital experience. No one likes to feel dumb. They want to know where they are, how they got there, and how to get back. UX/UI is critical to empowering the user with the confidence and understanding. THX focuses on putting the user experience first. All digital design initiatives start with building detailed personas, working with annotated wireframes, doing rapid prototyping of key interactions and user testing. They put a lot of thought and love into their messaging and strive for it to be crystal clear, engaging and compelling. 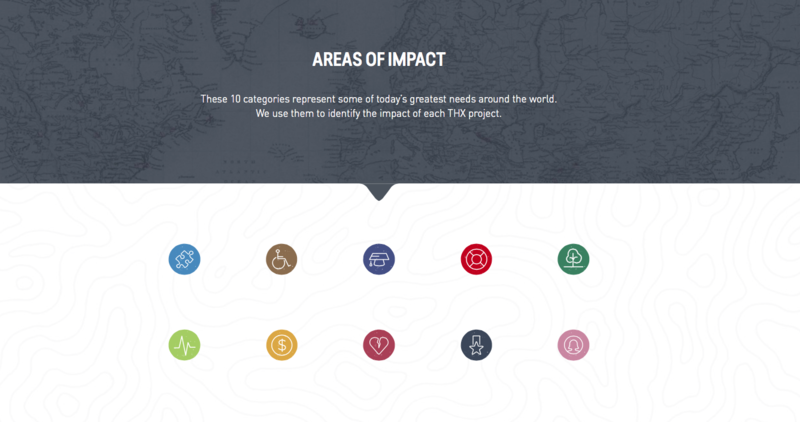 Their Areas of Impact page is a good example of this, bringing the vision to life with sections that scroll invitingly into one another, drawing the user to take a moment to learn about the great causes they can get involved in supporting. Brett described their biggest challenge as linked to the complexity of the shipping fulfilment equation, with its many unique variables. This was the area of the site development that was most difficult to parameterize for all possible combinations and scenarios. Due to problems encountered when trying to estimate shipping costs with the standard carrier plugins from USPS, UPS and FedEx respectively, they integrated the Table Rate Shipping extension for WooCommerce, which provided an acceptable result (while it remains something of a moving target, requiring frequent fine-tuning and constant optimisation). THX has a club subscription option, and created a custom UX by changing the default product page via the WooCommerce API. For the club landing page, they were able to take the user into a different subscription experience, and implement the same functions of a default WooCommerce product page thanks to the way the WooCommerce API is structured. Brett says realising this and then making it work was a pretty momentous occasion from a technical perspective! 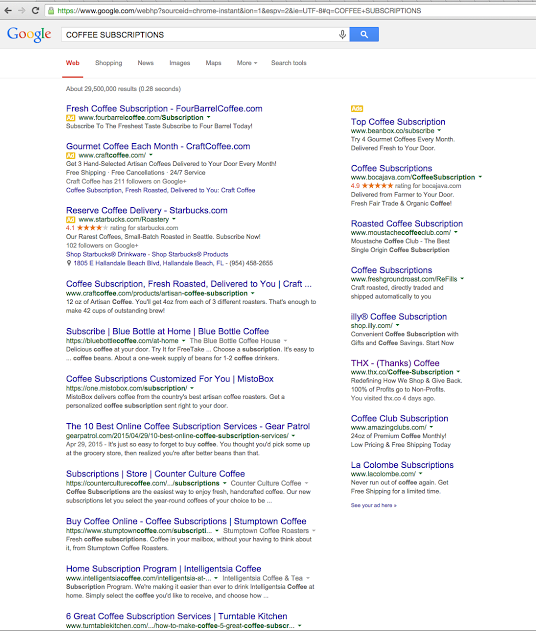 Brett shared a little example of some search marketing they are working on, for example the Google Adwords search phrase “Coffee Subscription” is part of their paid strategy (targeting prospects) and they are also hard at work with social sharing (targeting brand advocates) and owned media (targeting THX customers). Good stuff. Read our article on how to scale your store’s traffic. We look forward to following the THX story as they grow their collection, develop their brand, and further enhance their store to encourage people to give to others through their unique approach to eCommerce. Find the on Twitter and Facebook or if you feel inspired, go ahead and shop right now. Looking for more inspiration? Checkout the showcase.